The TGV lift will be closed all day on Thursday, December 11. This planned shutdown will allow the completion of some minor work. 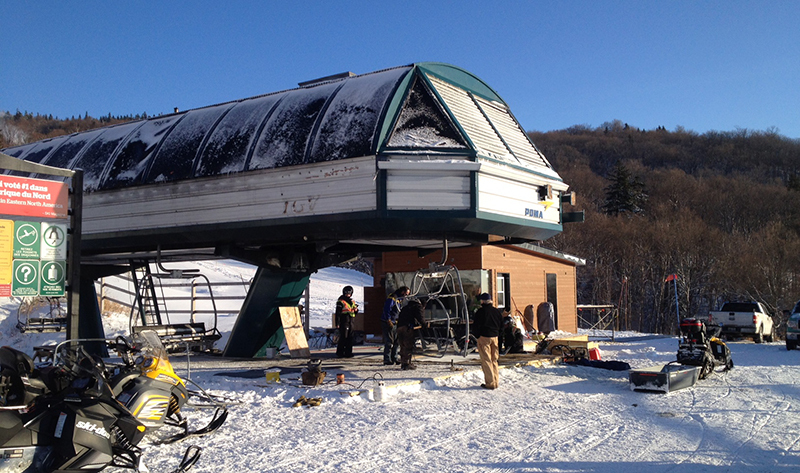 The lift will return to its normal operating hours starting Friday morning. We thank you for your understanding and wish you a great day on the slopes. – All the chairs have been re-installed on the cable. 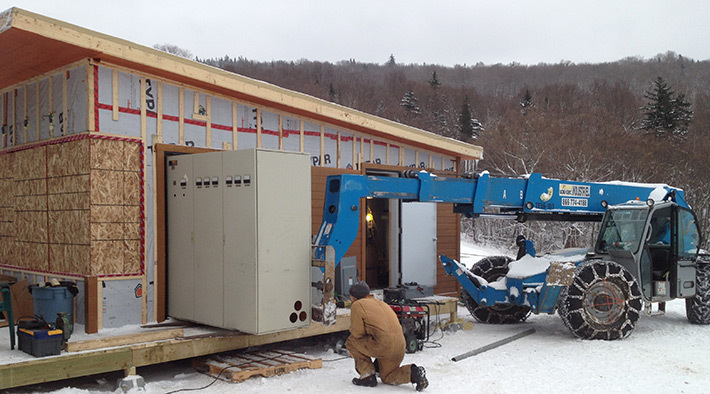 – The work on the mechanics and electrical wiring has been completed. – The test phase and system adjustments have also been completed. And so, it is with great pleasure that we will open the TGV lift earlier than anticipated. 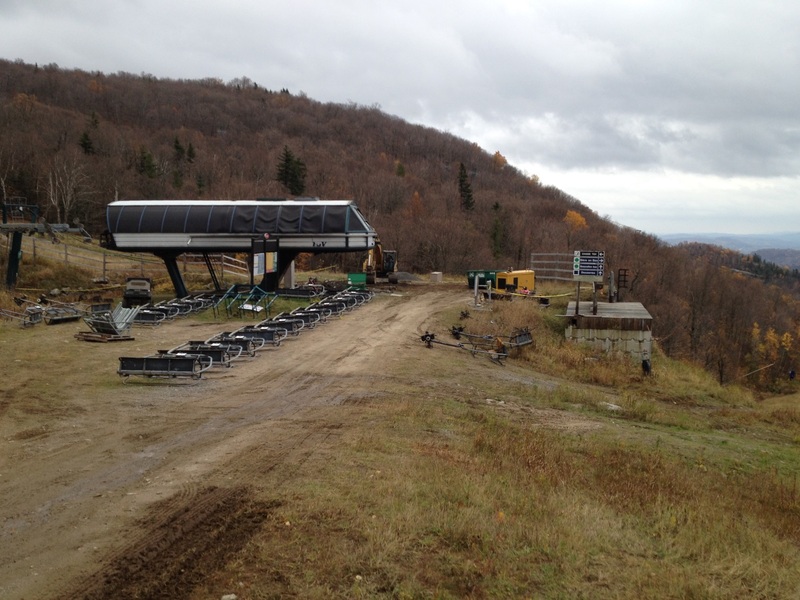 Skiers and snowboarders will be able to use the lift as of this Saturday December 6th, a full two weeks before the scheduled date! We are pleased to inform you that a number of important steps have been taken since our last communication. The electrical distribution equipment, as well as several crucial electrical components, have been received. In addition, the lift transformer has been replaced. This week, in order to pursue the operations, the TGV lift was activated thanks to a diesel engine. Once again, we are glad to observe that work is proceeding well and respecting the planned schedule. On Tuesday morning, we received with great enthusiasm the new operating station for the TGV lift. This building houses the control components and was immediately installed upon reception. Note that the operating station was severely damaged in the fire that occured on October 12th. We are pleased to announce that work is proceeding well and respecting schedule. Technical experts are currently on site and work on the electrical infrastructure is almost completed. 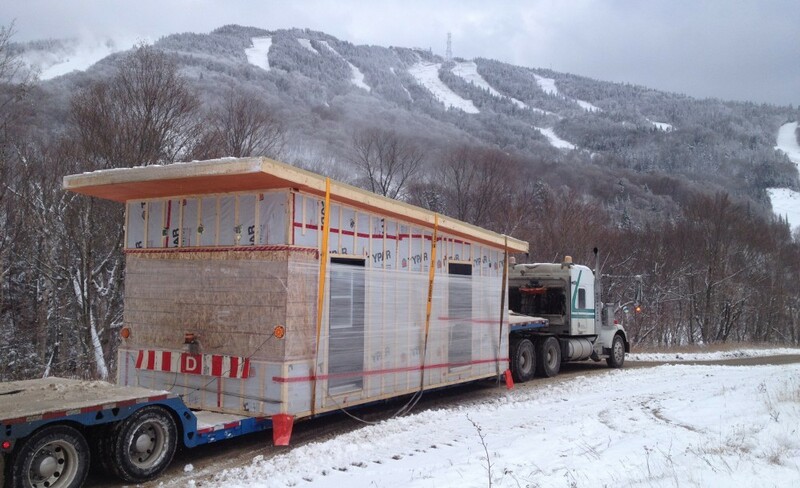 Several truckloads of parts and equipment are en route to Tremblant and we expect to receive them shortly. To date, the operation is still on schedule. Good news! This week, we have received the replacement cable as well as the engines for the TGV lift. 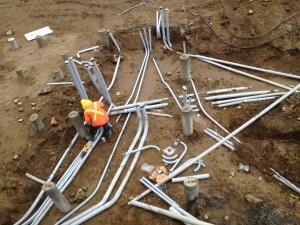 The parts were immediately installed upon reception, meaning everything is on schedule and going according to plan. Our team has been working tirelessly since the fire that affected the base of the TGV lift on October 12th. Although the situation is changing day by day, we are taking this opportunity to share with you the latest news. Following the incident, we swiftly took concrete steps in making the lift fully operational as quickly as possible. The team began by developing a reconstruction plan with the manufacturer and its experts. This plan being completed, the next step, which we are currently dedicated to, is attaching said plan to a timeframe. The timing will depend on the delivery of parts and the coordination of different projects. Based on our actual progress, we are considering Friday December 19th as the date the TGV will resume operations. Please keep in mind that given the nature of the work and the contingencies associated with such a project, not overlooking the temperature, this date could change. We will keep you informed of the evolution of our operations. Moreover, we confirm that the snow making capacity has not been affected by this incident. The size of the skiable terrain early in the season – from the opening of the resort to the reopening of the TGV lift – should be equivalent to previous seasons during this period. 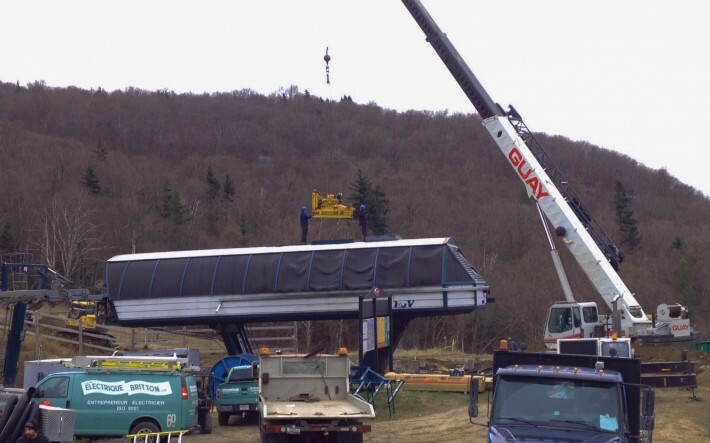 To provide such a ski area the snow making plan will be adapted, making the Duncan Express lift operational right from the opening of the season. In other words, you should have access to the same size of skiable terrain, but it will be structured differently. 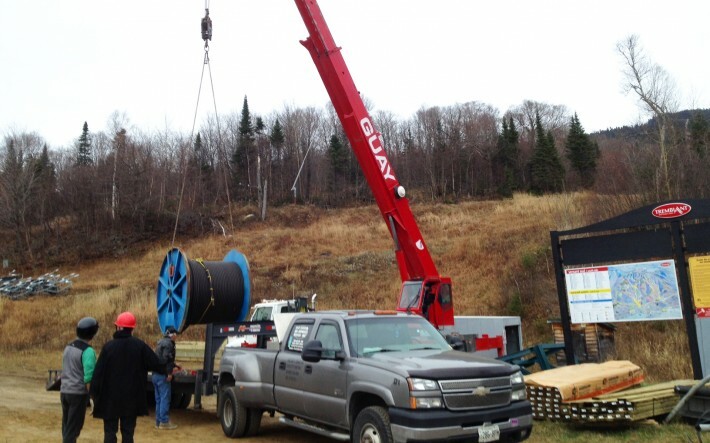 Of course, it depends somewhat on Mother Nature; to which we look forward to help us deliver on our snowmaking plans. Again we thank you for your understanding. Until our next communication, let us wish for the return of cold temperatures and snowflakes in the Tremblant sky! Photo taken on October 17th showing the TGV base once site cleanup was completed. According to the assessments associated with the fire that affected the base of the TGV quad chair early in the evening of Sunday October 12, we are now in a position to confirm that according to preliminary inspections, damages appear to be less extensive than initially anticipated. Our teams and those of the lift manufacturer have deployed every effort required to ensure the TGV’s prompt return to service: damage assessments are advancing, engineers are currently evaluating reconstruction solutions while cleaning and reconditioning tasks have begun. We wish to expressly thank community and industry members who voluntarily mobilized around us, providing invaluable logistics and material support. Please refer to this article for updates. They will be posted here as the details are known. Between the summer and winter seasons: what to do in Tremblant? Workout Wednesdays No. 4 - Run!